I am an Assistant Professor at Department of Computer Science and Engineering, Louisiana State University. I received my Ph.D. and M.S. degrees at the Department of Computer Science and Engineering, The Ohio State University in 2010 and 2009. I received my M.E. and B.E. degrees at Department of Computer Science and Engineering, Zhejiang University in 2003 and 2000. Before joining Louisiana State University, I was a research scientist with Circuits and Systems Research, Intel Labs. I am a recipient of NSF CAREER Award in 2015. To prospective students: I am looking for undergraudate/graduate students with a strong interest in systems research. If you are interested in working with me, please send me email with your recent CV and transcripts. LSU Alumni Association Rising Faculty Research Award, 2018. Tiger Athletic Foundation Undergraduate Teaching Award, 2016. Faculty Early Career Development Award (CAREER), NSF, 2015. Division Recognition Award, Circuits and Systems Research, Intel Labs, 2013. Best Paper Award, ACM 2011 International Conference on Supercomputing, 2011. Jian Liu, Kefei Wang, and Feng Chen, "Reo: Enhancing Reliability and Efficiency of Object-based Flash Caching", to appear in Proceedings of the 39th IEEE International Conference on Distributed Computing Systems (ICDCS'19), Dallas, TX, July 7-10, 2019. Zhaoyan Shen, Feng Chen, Gala Yadgar, and Zili Shao, "One Size Never Fits All: A Flexible Storage Interface for SSDs", to appear in Proceedings of the 39th IEEE International Conference on Distributed Computing Systems (ICDCS'19), Dallas, TX, July 7-10, 2019. 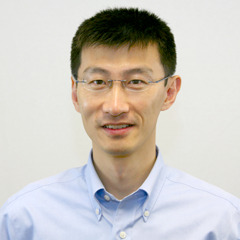 Yichen Jia, Eric Anger, and Feng Chen, "When NVMe over Fabrics Meets Arm: Performance and Implications", to appear in Proceedings of the 35th IEEE International Conference on Massive Storage Systems and Technology (MSST'19), Santa Clara, CA, May 20-24, 2019. Kefei Wang, and Feng Chen, "Cascade Mapping: Optimizing Memory Efficiency for Flash-based Key-value Caching", Proceedings of the 9th ACM Symposium on Cloud Computing 2018 (SoCC'18), Carlsbad, CA, October 11-13, 2018. Binbing Hou, and Feng Chen, "Pacaca: Mining Object Correlations and Parallelism for Enhancing User Experience with Cloud Storage", Proceedings of the 26th IEEE International Symposium on the Modeling, Analysis, and Simulation of Computer and Telecommunication Systems (MASCOTS'18), Milwaukee, WI, September 25-28, 2018. Yichen Jia, Zili Shao, and Feng Chen, "SlimCache: Exploiting Data Compression Opportunities in Flash-based Key-value Caching", Proceedings of the 26th IEEE International Symposium on the Modeling, Analysis, and Simulation of Computer and Telecommunication Systems (MASCOTS'18), Milwaukee, WI, September 25-28, 2018. Feng Chen, Tong Zhang, Xiaodong Zhang, "Software Support Inside and Outside Solid-State Devices for High Performance and High Efficiency", Proceedings of the IEEE, Vol. 105, Issue 9, pp. 1650-1665, September 2017. Jace Courville, Feng Chen, "Understanding Storage I/O Behaviors of Mobile Applications", Proceedings of the 32nd International Conference on Massive Storage Systems and Technology (MSST'16), Santa Clara, CA, May 2-6, 2016. Zhonghong Ou, Zhen-Huan Hwang, Antti Ylä-Jääski, Feng Chen, Ren Wang, "Is Cloud Storage Ready? A Comprehensive Study of IP-based Storage Systems", Proceedings of the 8th IEEE/ACM International Conference on Utility and Cloud Computing (UCC'15), Limassol, Cyprus, December 7-10, 2015. Feng Chen, Michael Mesnier, and Scott Hahn, "Client-aware Cloud Storage", Proceedings of the 30th International Conference on Massive Storage Systems and Technology (MSST'14), Santa Clara, CA, June 2-6, 2014 (Acceptance Rate 18.5%, 23/124). Tian Luo, Rubao Lee, Michael Mesnier, Feng Chen, and Xiaodong Zhang, "hStorage-DB: Heterogeneity-aware Data Management to Exploit the Full Capability of Hybrid Storage Systems", Proceedings of the 38th ACM International Conference on Very Large Databases (VLDB'12), Istanbul, Turkey, August 27-31, 2012. Michael Mesnier, Jason Akers, Feng Chen, and Tian Luo, "Differentiated Storage Services", Proceedings of the 23rd ACM Symposium on Operating System Principles (SOSP'11), Cascais, Portugal, October 23-26, 2011. Feng Chen, David Koufaty, and Xiaodong Zhang, "Hystor: Making the Best Use of Solid State Drives in High Performance Storage Systems", Proceedings of the 25th ACM International Conference on Supercomputing (ICS'11), Tucson, Arizona, May 31-June 4, 2011. Awarded Best Paper. Feng Chen, Tian Luo, and Xiaodong Zhang, "CAFTL: A Content-Aware Flash Translation Layer Enhancing the Lifespan of Flash Memory based Solid State Drives", Proceedings of the 9th USENIX Conference on File and Storage Technologies (FAST'11), San Jose, CA, February 15-17, 2011. Rubao Lee, Xiaoning Ding, Feng Chen, Qingda Lu, and Xiaodong Zhang, "MCC-DB: Minimizing Cache Conflicts in Multi-core Processors for Databases", Proceedings of the 35th International Conference on Very Large Data Bases (VLDB'09), Lyon, France, August 24-28, 2009. Feng Chen, David Koufaty, and Xiaodong Zhang, "Understanding Intrinsic Characteristics and System Implications of Flash Memory based Solid State Drives", Proceedings of 2009 ACM SIGMETRICS Conference on Measurement and Modeling of Computer Systems (SIGMETRICS/Performance'09), Seattle, WA, June 15-19, 2009. Xiaoning Ding, Song Jiang, Feng Chen, Kei Davis, and Xiaodong Zhang, "DiskSeen: Exploiting Disk Layout and Access History to Enhance I/O Prefetch", Proceedings of 2007 USENIX Annual Technical Conference (USENIX ATC'07), Santa Clara, CA, June 17-22, 2007. Song Jiang, Feng Chen, and Xiaodong Zhang, "CLOCK-Pro: An Effective Improvement of the CLOCK Replacement", Proceedings of 2005 USENIX Annual Technical Conference (USENIX ATC'05), Anaheim, CA, April 10-15, 2005, pp.323-336. 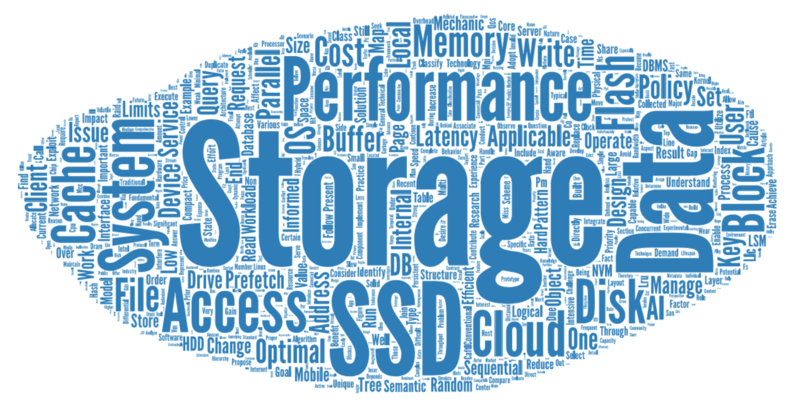 Feng Chen and Michael Mesnier, "Write Mechanism for Storage Class Memory", Filed Dec. 30, 2011, Published July 4, 2013. Michael Mesnier, Tian Luo, and Feng Chen, "System and Method for Providing Differentiated Storage Service in a Database", Filed Dec. 29, 2011, Published July 4, 2013. Persistent memory block driver is now open to the public! Here is the PMBD paper and a related talk from Red Hat mentioning PMBD. A list of publications that used PMBD in the research. CLOCK-Pro (USENIX'05) has been adopted in OS and data management systems (See source code in NetBSD, a LinuxMM article, and more details). Hystor (ICS'11) has influenced commercial hybrid storage products, including Apple's Fusion Drive (See a research highlight in CCC, and more details). PMBD (MSST'14) has made impact on academic research on persistent memory in computing systems (See the code and more details). CLOUD'19, HotStorage'19, IEEE CLOUD'19, IEEE EDGE'19, ICDCS'19, NAS'18, SDDCS'18, IEEE CLOUD'18, IEEE EDGE'18, NVMSA'18, ICPADS'17, NVMSA'17, RTCSA'17, CLOUD'17, SDDCS'17, NAS'17, EDGE'17, ICPADS'16, HotPlanet'16, CCIS'16, CLOUD'16, SDDCS'16, NVMSA'16, MobiMedia'16, MSST'15, CLOUD'15, NVMSA'15, SDDCS'15, ICPP'15, NAS'14, RTCSA'13. Publicity co-chair of NVMSA'16, NVMSA'15. Session chair of SDDCS'16, NVMSA'15, MSST'15. Member of Association for Computing Machinery (ACM), IEEE Computer Society, and USENIX Association. Conference webmaster of ICDCS'08, WWW'08, ICDCS'09. Invited researcher to the prestigious Intel Science Talent Search (2012). HotStorage'19, ICDCS'19, CLOUD'19, IEEE EDGE'19, IEEE CLOUD'19, NAS'18, NVMSA'18, IEEE CLOUD'18, IEEE EDGE'18, ICPADS'17, NVMSA'17, RTCSA'17, CLOUD'17, SDDCS'17, NAS'17, EDGE'17, ICPADS'16, HotPlanet'16, CCIS'16, CLOUD'16, SDDCS'16, NVMSA'16, MobiMedia'16, MSST'15, CLOUD'15, NVMSA'15, ICPP'15, SDDCS'15, HPCA'14, FAST'17, SIGMETRICS'14, PACT'14, NAS'14, MICRO'13, RTCSA'13, PPOPP'12, ICS'12, ICDCS'12, NGN'12, SC'11, NGN'11, IPDPS'11, WWW'10, SC'10, Cluster'10, INFOCOMM'09, SC'09, ICDCS'09, SIGMETRICS'08, SC'08, INFOCOM'07, ICDCS'07, ICPP'06, ICPADS'06. ACM Transactions on Storage (TOS), ACM Transactions on Embedded Computing Systems (TECS), ACM Transactions on Design Automation of Electronic Systems (TODAES), IEEE Transactions on Computers (TC), IEEE Transactions on Multimedia (MM), IEEE Transactions on Parallel & Distributed Systems (TPDS), IEEE Transactions on CAD of Integrated Circuits and Systems (TCAD), IEEE Transactions on Knowledge and Data Engineering (TKDE), IEEE Transactions on Services Computing (TSC), IEEE Transactions on Cloud Computing (TCC), IEEE Transactions on Modeling and Performance Evaluation of Computing Systems (TOMPECS), IEEE Computer Architecture Letters (CAL), IEEE Embedded Systems Letters (ESL), Frontiers of Computer Science (FCS), Journal of Low Power Electronics (JOLPE), Journal of System and Software (JSS), Journal of System Architecture (JSA), Journal of Computer Science and Technology (JCST), Journal of Information Science and Engineering (JISE), Journal of Parallel and Distributed Computing (JPDC), Electronics and Telecommunications Research Institute Journal (ETRI), Parallel Computing (PARCO). How to Get Your Systems Paper Accepted?